Estrella playing the Belladrum Festival Tartan Heart Fringe ! 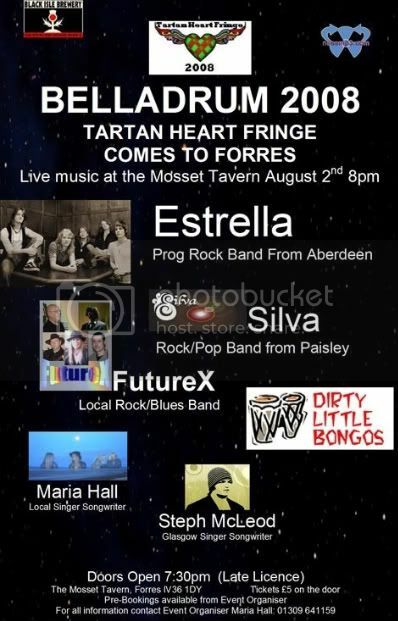 Estrella are delighted to be apart of this years Tartan Heart Fringe. 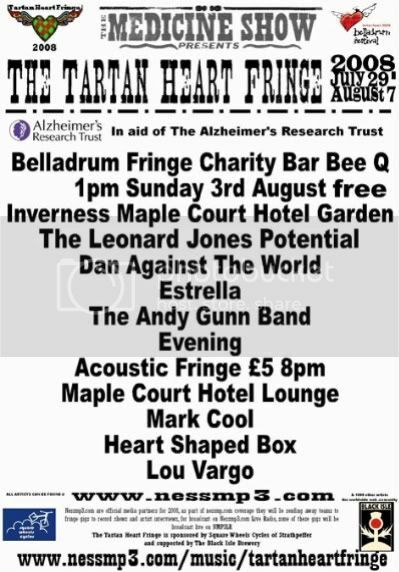 Playing at the Mosset Tavern, Forres, on Aug 2nd and then the annual Bar Bee Q, which is held in Inverness's Maple Court Hotel Gardens on the 3rd of Aug.